If you think the weather in the UK can be unpredictable, alpine weather systems can catch out even the most experienced road cyclist, changing from storms to sunshine and climb to descent. Throw altitude into the mix and you could be in for an interesting ride if unprepared. 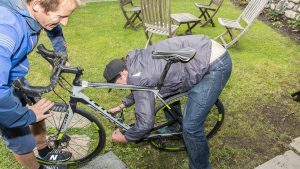 Here are our 8 cycling essentials for an unassisted alpine ride! Waterpoof bag for your phone – Whether rain or sweat, our phones don’t like the damp. Even a simple sandwich bag can make all the difference, however invest in the real thing and you will be surprised how often it gets used on and off the bike! Arm warmers or a lightweight packable jacket – which you choose is really down to your own tolerance to the cold and wet however, both will pack away into your jersey easily and will make a huge difference when it comes to keeping you warm on those descents. Energy! 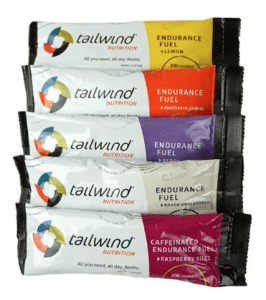 – Packing an energy bar, gel, or a Tailwind stickpack takes up little room but can make all the difference! It may stay there all trip but much better to have the boost available should you need it. Sunscreen –Resist going home with a stripy head! The sun increases in intensity the higher you go so be sure to pack a small high factor cream and slather it on first thing. Multitool, Inner tube and Pump – Don’t get caught out, these really are cycling essentials! Taxi’s can be few and far between in the mountains and very expensive so make sure you are prepped for any technical eventuality! Velovation – There to lend a hand! Sunglasses – protect those peepers from the increased levels of UV and if possible bring a change of lenses should the weather change. A clear lens can be invaluable if the rain starts to pour on a descent! €€€€ – It’s always handy to have a few euros in your pocket, whether it’s for that all important post ride beer or that emergency taxi! 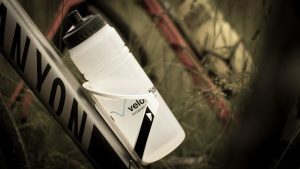 Water – Hydration is key to performance! Do not underestimate how much water you can consume on a hot climb and whilst there are plenty of mountain springs we are at the mercy of nature, sometimes the spring can be dry or simply not drinkable. If you’re booking a tour with Velovation you don’t need to worry about any of these essentials as our support van will be with you every step of the way. If you’re not sure, feel free to get in touch and we will be happy to answer any questions you might have. You can also take a look at our FAQ’s and feel free to let us know if we have left anything unanswered!